Today's challenged called for a previous challenge in a new medium. 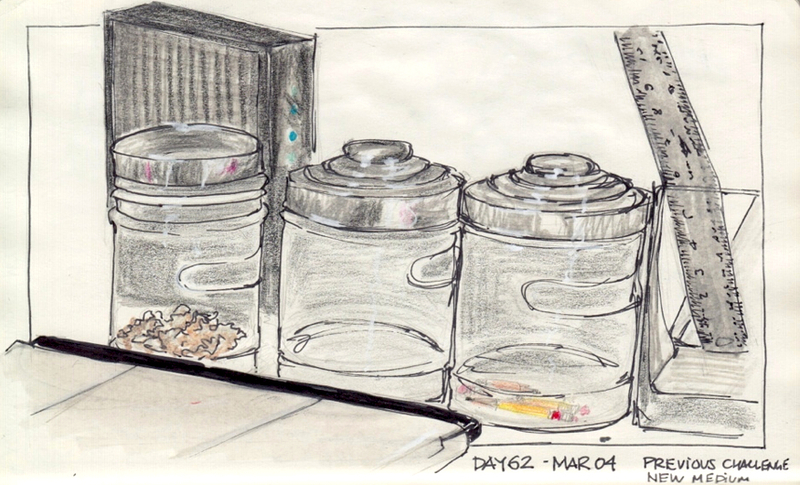 I don't have a lot of choice since I recently started so I choose yesterday's topic with a new subject : My three glass jars for my Jar Challenge. About a quarter of the first jar is filled with pencil shavings. The goal is to fill three jars this year. So far so good. This sketch was done using markers and color pencils.